Former Fairfield Police Chief Kenton Rainey started work today as the new chief of BART's 296-member police force. 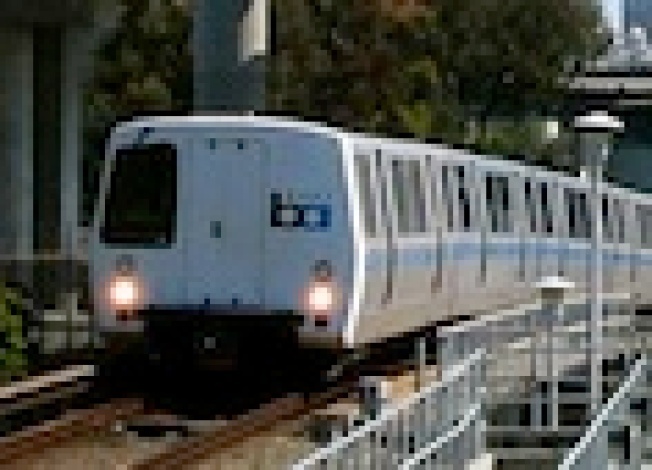 BART General Manager Dorothy Dugger offered Rainey, 51, the job back in mid-May, but transit agency spokesman Linton Johnson said today that it took longer than expected for the California Department of Justice to complete its background check of Rainey. Rainey was police chief in Fairfield from April 2007 to September 2009 and most recently had been the commander of San Antonio's airport police division. He takes over a BART Police Department that has been under scrutiny since former officer Johannes Mehserle killed unarmed train rider Oscar Grant III at the Fruitvale station in Oakland on Jan. 1, 2009, after Mehserle and other officers responded to reports there had been a fight on a train. Mehserle is currently standing trial on a murder charge stemming from the shooting. Grant's family filed a $50 million civil rights lawsuit against BART and the officers involved in the incident and many community members believe officers were overly aggressive in responding to the situation. A native of Chicago, Rainey worked for the Ventura County Sheriff's Office for 23 years before leaving as a captain in May 2002. He was the superintendent of patrol operations in Dayton, Ohio, which is the department's No. 3 job, from June 2002 to April 2004 and was the patrol operations captain in Whittier, which is that department's No. 2 job, from April 2004 to April 2007. Rainey succeeds former BART Police Chief Gary Gee, who announced his retirement last August. Gee went on medical leave in September but returned to his post in December for a few weeks and his last day on the job was Dec. 30. Former Berkeley Police Chief Daschel Butler has been serving as interim police chief since Gee left. BART officials said last December that they hoped to have a new police chief on the job by April 26 but the selection process took longer than expected. Dugger said in a statement today, "I am proud to have selected Kenton Rainey as BART's fifth police chief. Chief Rainey embodies the change the community, the BART board and the dedicated men and women who serve on the BART police force seek. He has a proven track record that exemplifies the values and goals that are critical to improving BART's policing services." She said, "I have every confidence Chief Rainey is the right person, with the right experience, values and commitment to lead our ongoing efforts to usher in a new era for the BART Police Department." Board President James Fang said, "I believe and hope that Chief Rainey will meet the very high standard that our riders, the public and the BART Board have set for him and our police department." Director Carole Ward Allen, who heads the agency's Police Department Review Committee, which was formed after Grant was fatally shot, said, "Chief Rainey has the confidence of the community, his peers, and the BART board to successfully usher in a new era of change." Ward Allen said, "What impresses me most about Chief Rainey is his commitment to community. He's a man who doesn't just talk the talk, he walks the walk - a trait which I am confident our customers will appreciate and our officers will find inspiring as they strive to be the best they can be in the years to come."